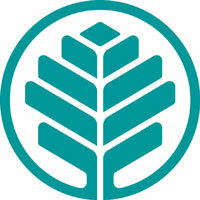 Carolinas HealthCare System is Atrium Health. Our mission remains the same: to improve health, elevate hope and advance healing – for all. The name Atrium Health allows us to grow beyond our current walls and geographical borders to impact as many lives as possible and deliver solutions that help communities thrive. For more information, please visit our website. Serves as a member of the healthcare team acting as a liaison between the patient, family, visitor, hospital and medical staff and has direct non-clinical patient and guest contact on a daily basis providing welcoming and genuine hospitality while exceeding our guests expectations, listens to our guests needs, identifies problems and concerns thus promoting and improving patient care and customer satisfaction by utilizing the principles of Service Excellence and Service Recovery. • Provides guests with assistance throughout the facility: directions, patient locations, location of hospital amenities. • Communicates in a courteous and effective manners, ensures the information is communicated in a clear and precise manner while confirming the guests understanding of the information provided, listen to complaints with a calm, composed and positive demeanor. • Gives personal attention, takes personal responsibility and uses teamwork when providing guest service, responds promptly to patient, family and staff requests, assists in the identification of patient and family needs and secures appropriate referrals, solutions and services to the identified needs, may include services for patients and families under the Americans with Disabilities Act (ADA) and those with limited English proficiency (LEP), considers and utilizes the most cost-effective measures to meet these needs and improved customer service. • Supervises waiting rooms as requested. Maintains knowledge of the location of family members and facilitates communication between the family and healthcare professionals, assists the family in locating the patient as he/she moves through the healthcare system, communicates condition reports to callers per departmental policy, maintains a clean and safe environment in the family waiting areas by utilizing Environmental and Security Services. • Responds as directed to all emergency, crisis and disaster situations. • Maintains appropriate training related to Service Excellence and Performance Improvement Initiatives. • Collects data and documentation that assists in the identification of areas needing improved customer service. Assists leaders with recommendations to change facility and departmental policies and procedures. • Accurately records and submits all documentation/statistical reports for services provided to patients and families, includes transportation vouchers, bus passes, emergency clothing. • Assists leaders with the ongoing evaluation of the Guest Relations Program, customer satisfaction, development of personal and departmental educational plans and quality management guidelines. • Maintains close communication with the Guest Relations Manager regarding the Guest Relations Department and problem areas, requests assistance as needed from the Guest Relations Manager and Supervisors for additional personnel or resources. • Performs notarizations for Healthcare Power of Attorney, Living Wills and any other pertinent healthcare document as appropriate following North Carolina Notary Laws and Regulations. • High School diploma or equivalent required. Bachelor’s degree preferred. • Experience in healthcare and/or customer service preferred. • Work requires walking, sitting, lifting and reaching. • May come in contact with patients, families and their personal belongings including those contaminated with infectious and blood-borne pathogens. • Must lift a minimum of 50 pounds for moving and lifting patients in/out of wheelchairs. • Must have the ability to clearly communicate in English. • Intact sense of sight and hearing is required. • Must be able to be mobile within the entire healthcare provider system. Carolinas HealthCare System is an EOE/AA Employer.